Preparing your office before you close for the holidays requires careful preparation. Proper messaging will ensure that your customers, vendors, and employees can plan around the shutdown, and that means you won't have to deal with a lot of angry complaints before and after the break. That should make for a carefree vacation and a well-deserved rest. Here is a simple checklist of steps, from setting gone-for-the-holiday messages to resetting thermostats, that will make your holiday closing smooth and profitable. Make sure you notify stakeholders in your company at least two to four weeks ahead of time. Employees can be notified and reminded through in-office calendar systems, email notifications, signs and postings around the office, and inserts in their paychecks. And don't forget those follow-up reminders; not every message makes it through the first time. You can notify customers through your website and the automated attendant message on your phone system. Vendors (especially those with reoccurring delivery schedules) should be notified via email, phone, or regular postal mail. Notify your security personnel or security service about your upcoming closing dates. Make sure your security providers have an updated emergency contact list that contains the contact information, including phone numbers, for you and your key employees. They should know whom to contact in the event of a security issue even when the office is closed for business, and who is authorized to be in the building during the shutdown. A week or two before the closing, record an automated attendant greeting on your phone system that explains that the office will be closed for an extended period. Include the date when you will close and when you expect to reopen. Just before you leave, record a second automated greeting that emphasizes when you will return and, when appropriate, to whom callers should direct any queries in your absence. If you provide emergency services, such as heating and cooling, plumbing, or other essential customer services, be sure to tell your callers how to reach your answering service or your cell phone in the event of an emergency. Notify your answering service of the dates that the office will be closed, and update your contact list with the phone numbers of employees who will be on call. Make sure they know who to contact in specific situations; you don't want top-level managers alerted in the event of a delivery issue, for instance. If your phone system allows employees to receive external calls at their desks, instruct them to record a "closed for the holidays" message or "out of office" voicemail greeting that gives callers essential details about the closing. 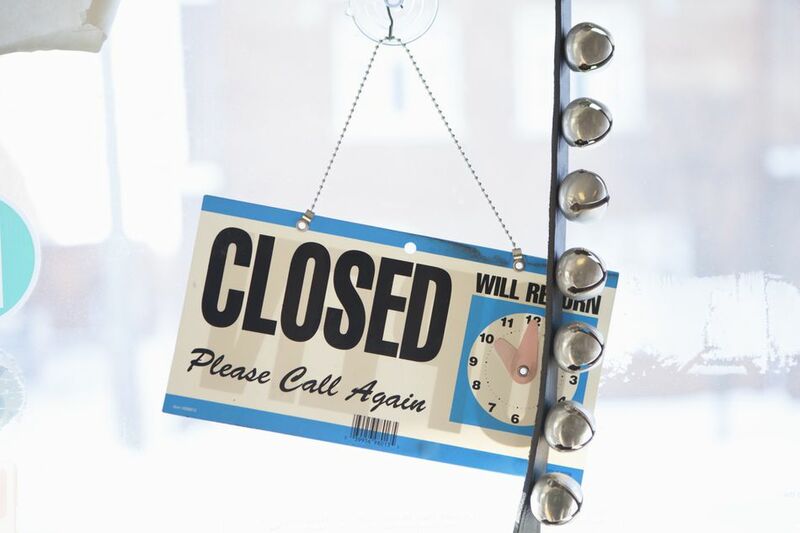 Employees should let callers know when they will return to the office and what to do if they need immediate assistance while the office is closed. In most cases, you don't want employees giving out personal contact information. Save energy and money by setting or reprogramming your office thermostats during the shutdown. You'll be surprised at the cost savings you can accrue, and it may be a good PR opportunity; show that your company is committed to preserving resources. You can also save energy and money by turning off all nonessential office equipment, including desk lights, copiers, printers, and computers. If you have computers and servers, make sure the backup cycle runs properly before and after the shutdown. Reduce your exposure to a disaster by scheduling your offsite backup for an early pickup, rather than waiting for the business to reopen. This is an area where you want to have clear instructions for whom to contact in the event of a problem, so be sure your answering service is correctly informed.